Watching the video demonstration of the Turn Signal Biking Jacket brings up references of the TRON Light Suit. 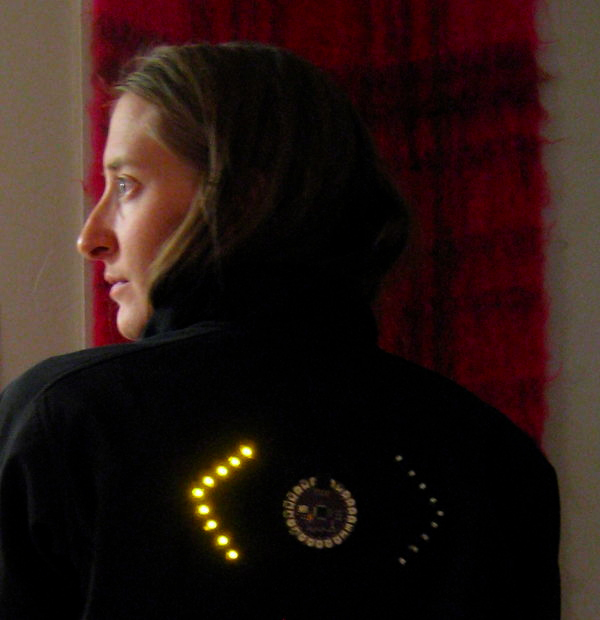 Leahbuechley of Insturctables has designed a jacket for bicyclists that display indicator lights on the back of the jacket that are controlled by switches in the wrists of the jacket. The Turn Signal cycling jacket is such a simple idea (though slightly complicated to make with all the programming, wiring, and an Arduino circuit board), which would make cycling around town a lot easier and safer at night. Check out the video below for a demonstration of the DIY indicator jacket. You can find the instructions to make your own DIY jacket here.